When To Consider a Conservatory Upgrade? If you have lived in your home for many years, or your conservatory was built before you moved in, then it could be getting on a bit and time to bring it up to date. 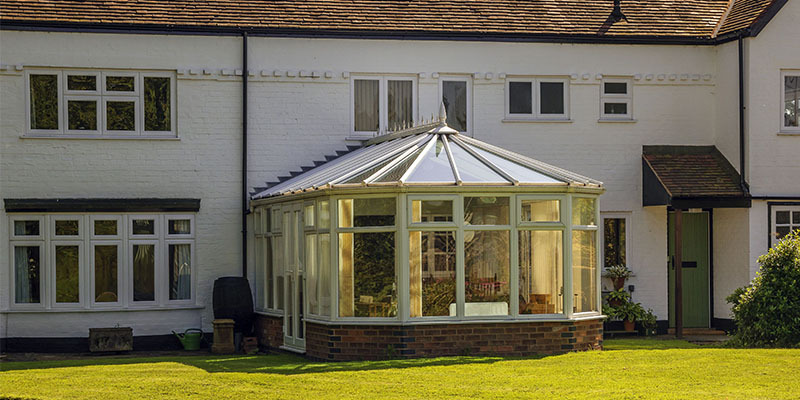 There are numerous advantages of a conservatory upgrade that will benefit you now and for years to come. There are a few indicators that will reveal whether your conservatory is in need of an upgrade or not. If you think your conservatory could have been built after the 1980’s, then it will be easy enough to repair the uPVC structure. If, however, you own an aluminium conservatory from the 1970’s, then an upgrade might be a little too late. It is worth looking into having it renovating rather than replaced as this can save a lot of time and expense. Below is a number of signs you can look out for that will indicate when it is time to upgrade your conservatory or summer room. Take a look into the age and effectiveness of the glass installed in your conservatory. Nowadays, the majority of new builds are fitted with either double or triple glazing which is much less prone to extremes in temperatures. The crowning quality of these new windows ensures your conservatory will stay cool in the summer and retain its heat in the winter. The microscopically thin coating present on all modern windowpanes reflect the sun and prevent UV rays from entering your home. This coating means conservatories are much more habitable nowadays; gone are the days where you were left sweltering in summer and freezing in the winter. You can now also purchase Four Seasons Glass which goes one step further in ensuring a comfortable living area all year round. You can fix this problem by simply replacing the glass in your conservatory with modern double or triple glazing. If you suffer from overheating issues during the warmer months, then it is essential to restore the south-facing windows. Installing energy efficient glass will drastically help to improve the fluctuations in room temperature; look for glass with an A+ energy efficient rating. If the seals around the windows are starting to peel away, then it will likely be letting draughts into your conservatory. This is a sure way to tell if the conservatory is in need of an upgrade promptly. As conservatories age, you’ll notice more cracks start to appear leading only to further disintegration. 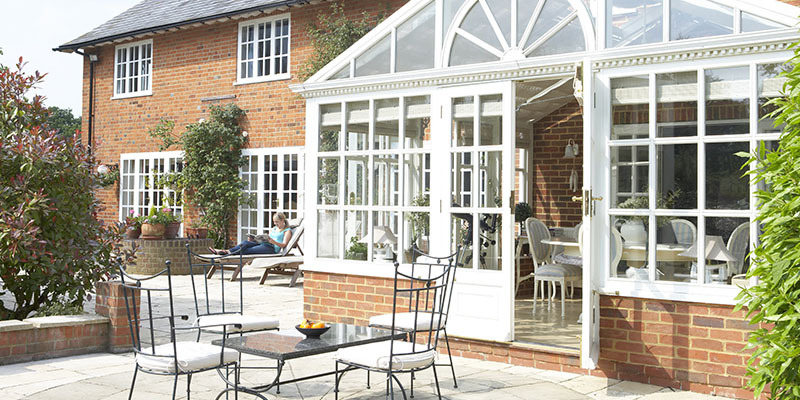 Conservatories built before the 2000’s won’t be made from modern uPVC which has superior durability qualities. It is best to renovate your conservatory before the problems get out of hand. An adeptly performing conservatory should be working to defer cold air from entering your home and retaining heat during the winter months. If your conservatory is failing to do this and you can feel an excess of draughts, then it a reliable indication your conservatory could do with an upgrade. The presence of draughts could be to do with underperforming windows, sealing issues or thermal inefficiency in your roof. Replacing your roof is a practical solution to the problem; providing you have checked it is your roof causing the issues and not the windows. You can opt for a Guardian Warm Tiled Roof or a combination between solid tiles and glass. Tiled roofs provide a number of beneficial qualities nowadays. Due to its highly efficient insulating system, this style of conservatory roof replacement in Luton can help to reduce heating bills, minimise condensation build up and prevent ambient noise. Synthetic tiles are now widely available and are an appropriate substitute; they possess heard wearing qualities, they have all-weather thermal insulation and are possible in a variety of styles and colours. The combination of solid tiles and glass can make for a seamless open plan part of your home. Its the ideal solution for those who are aiming to save money but obtain as much natural light as possible. If your existing roof is made from polycarbonate, then replacing it with a solid roof might mean you’ll also have to replace the beams or rafters. It is doubtful that they will be able to take on the new weight. Opt to Install substantial timber rafters adjacent to the current beams. If, however, you decide to replace your roof with synthetic tiles, then you won’t need to be wary of the excess weight; these tiles are incredibly lightweight and will be no more cumbersome than a polycarbonate roof. The last indication is probably more obvious; is the structure of your conservatory looking a little worse for wear? Most conservatories contain a dwarf wall; however, you could take this opportunity to increase the brick to glass ratio. It will not only make you the structure much more secure but will help to create a seamless transition between the two buildings. If the frame on your conservatory is a traditional white or aluminium colour, you could opt to upgrade it with more on-trend colours, such as Chartwell green or anthracite grey. If your conservatory is all glass, then take this opportunity to include corner pillars to give it more of an orangery style. For a more modern look, take out the corner pillars and opt for the all-glass alternative, this will provide a comprehensive view of your garden. If you have decided to alter the dwarf walls or are restarting again on the construction of your conservatory, then this is the ideal time to install underfloor heating or effective thermal insulation. Underfloor heating can be an expensive feature, so merely opting for sufficient floor insulation is a much more affordable alternative. It will also help to cut down high heating bills during the winter. It is worth upgrading your conservatory as soon as you start to notice worsened signs of damage or inefficiencies. You do not have to renovate the complete conservatory in one go, but rather repair the problems one at a time. If you are looking for a supplier and installer of a variety of different conservatories in Harpenden, then get in touch with CS Windows today.